Disney said in a filing with the Securities and Exchange Commission Friday that it will demo its upcoming Disney+ streaming service for the first time at the company’s investor day on April 11. The company will also reveal some of the original TV shows and movies being developed for the streaming service, launching late this year. Those details are highly anticipated; Disney+ is seen as the biggest bet on streaming yet by any traditional media company. To that end, Disney+ will “drive the fastest uptake of any DTC platform to date,” according to an analyst note from UBS. The investment bank estimates Disney+ will attract 5 million global subscribers in the first 123 months and 50 million in the first five years. The bank also suggests that increased investment from Disney into Hulu could drive growth in that business. “We believe Disney is the only traditional media company with the scale, brand recognition and IP to join Netflix and Amazon as a leader in the retail market place for subscription video,” the note says. While UBS suggests that near- and medium-term earnings may face pressure as Disney loses some licensing revenue, growth in DTC will more than make up for those losses. Still, there are a few risks associated with Disney’s strategy, namely that a desire to preserve some existing revenue streams could hurt growth in the DTC business. Or, that the economic benefits of the DTC model may not materialize once the turbulence in the marketplace has settled. 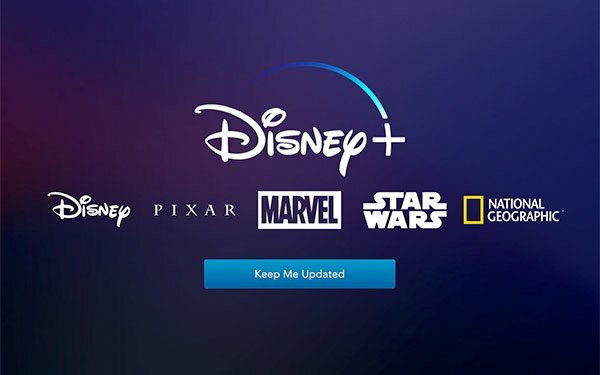 Disney+ is expected to launch later this year and will include a slate of original movies and TV shows, as well as Disney’s decades-long library of content. “In addition to leveraging our existing IP in new ways, we’re making significant investments in original content exclusively for Disney+, creating an impressive pipeline of high-quality movies and series we believe will make the streaming service even more compelling for consumers,” said Disney CEO Bob Iger in the filing. Pricing and sponsorship information has not yet been released, though it is expected to launch a lower price point than Netflix.